In this music video for “Endless Summer”, grit, dirt, and color intermix to play hokey pokey with minorly morbid imagery, mundane shots, and glitter. When it comes to the genre of “garage rock,” most listeners take the “been there, done that” attitude. It’s just hard to find something new — or rather, a new take on the genre. 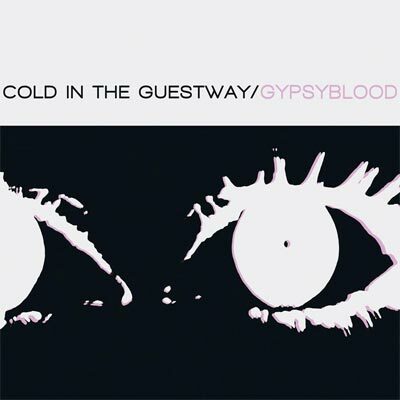 Chicago’s Gypsyblood blow that attitude out of the water with their debut, Cold In The Guestway. Their garage rock is combined with some noise pop and the best elements of surf rock (part of a recent trend pioneered by the likes of Surfer Blood and The Drums). There is even some Rolling Stones era bluesy-twang thrown in the mix for good measure (“Dirty Thieves”). Even though this is their debut album, it is clear that the band has fallen into a good groove. From the reverb-heavy “Take Your Picture,” which starts off the album on a bombastic, Midwestern rock note (the influence of fellow Midwesterners Guided By Voices is apparent), to the frenetic “In Your Blood,” Gypsyblood flex their guitar-swinging muscles. Throw in the oddly creepy “2-4-6 IntheDark,” and the anthem “My RKO is M.I.A,” and it solidifies: there is no doubting that Gypsyblood has created an album worth talking about. The occasional pop-driven swingy tunes like “A Song Called Take 2” and “Superstition” provides the pre-requisite accessibility, but there is no mistaking the fact that Gypsyblood don’t mess around when it comes to boisterious garage rock.